Create a beautiful sparkly ring at a fabulous price using components from the Mid-Season Sale! 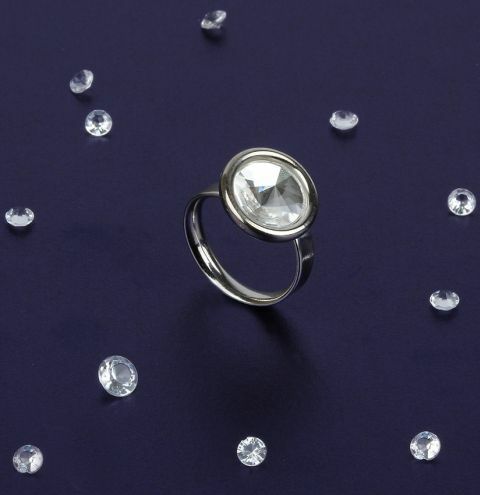 Carefully drop a small amount of glue into the ring base, and place the Swarovski crystal inside the setting. Allow to fully dry before wearing your ring.